It will rise again, I tell you, [...] the Mass will rise again, as I tell so many who come to me to complain (and they do it, at times, crying); and to him who asks me how I can be so sure of it, I answer (as a "poet", if you would like) bringing him to my balcony and showing him the sun... It will be evening soon and there, in the church of San Domenico [in Fiesole], the friars will sing, at Vespers: Iam sol recedit igneus; but, in a few hours, those same Dominicans, my friends, will sing, at Prime: Iam lucis orto sidere - and thus every day. The sun, I mean, will rise again, it will shine again after the night, to brighten up the earth from the sky, because...because it is the sun, and God thus established it for our life and comfort. 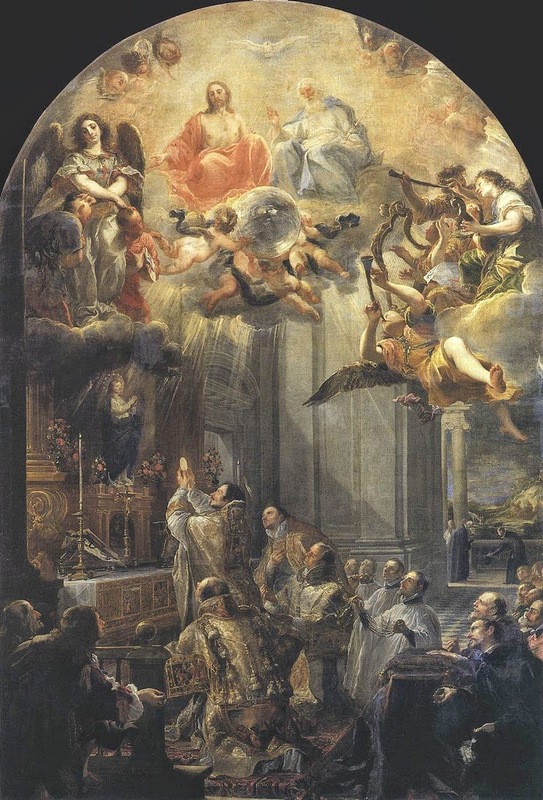 Thus, I add, it is and thus it will be with the Mass - the Mass which is "ours", Catholic, of all times, and of all people: our spiritual Sun, so beautiful, so saintly, and so sanctifying - against the delusions of the bats, driven out [of their hiding places] by the Reform, [who believe] that their hour, the hour of darkness, will not end. And I recall: on this large balcony of mine we were several in a past year, watching the total solar eclipse. I remember, and I almost seem to feel it again, the feeling of coldness, of sadness, and almost of disillusion in watching it, in feeling the air darken and freeze, little by little. I remember the silence in the city, while the swallows... while the birds disappeared, frightened, and the repugnant chiropters appeared, flying in the sky. To him who said, when the sun was entirely covered: -"What if it were not visible anymore?" - a thought to which none answered, almost as if not realizing the joke in it... The sun is visible anew, in fact, the sun rises again, after a brief daytime night, as beautiful as before and, as it seems, more than before, while the air is filled again by swallows, and the bats go back into hiding. As before, luminous and beautiful, and yet being the same, the sun seems greater than it was before, as in ... the Gospel [lesson] of the lost and found drachma. As it was before, and greater than it was before: thus it will happen with the Mass, thus the Mass will seem to our eyes, guilty of not having esteemed it worthily before the eclipse; our hearts guilty for not having loved it enough. 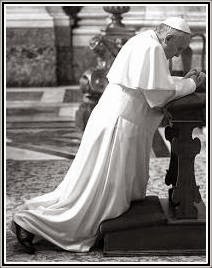 It has been eight years since His Holiness Pope Benedict XVl blessed the Church and the world with the great gift of Summorum Pontificum. Needless to say, there are many parts of the world where the motu proprio has been unwelcomed by bishops who have dealt with it largely by doing their best to ignore it. 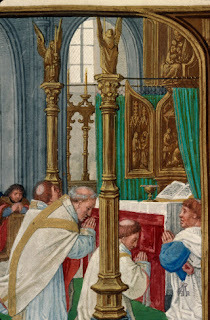 It is often through the tireless efforts of laity in cooperation with courageous priests that the Traditional Rite of Mass finds a home in many dioceses. Even when that happens, there is seldom a bishop who cares to call attention to it. That is where we all can help. WikkiMissa, the international directory for the Traditional Mass, is user-edited and depends on people who assist at Traditional Masses in their area to keep its information up to date. If you assist at a Traditional Mass regularly and are familiar with its circumstances, please take a moment to check in at WikkiMissa to verify that all information is current. 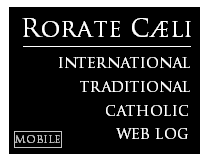 It is especially important for travelers to have accurate information – phone numbers where available – so that they can make plans to attend Mass while away without being disappointed because a Mass schedule has shifted or a Mass is no longer offered in a place where it had been the last time they visited. If you go to Mass at a place where there was not a Mass at this time last year, take this opportunity to enter the information concerning it so that others can benefit from it and your community can grow. WikkiMissa functions in seven languages so be sure to tell your contacts abroad to utilize it to their advantage and to keep it updated. A special thanks to owner/administrator Emmanuel for the time and effort he spends keeping the world in touch with the Traditional Mass.